Aspirational branding inspired by the architecture of Canary Wharf and cool E14 apartment interiors puts east London estate agent E14 Properties on the map. 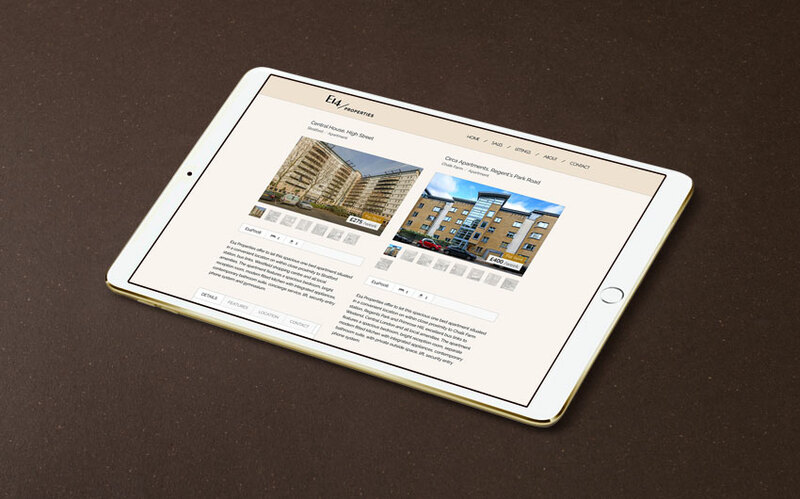 With a commitment to delivering a first-class customer service to both buyers and sellers, combined with property management, investment experience and local knowledge, E14 Properties is rapidly establishing itself as a different type of estate agent. 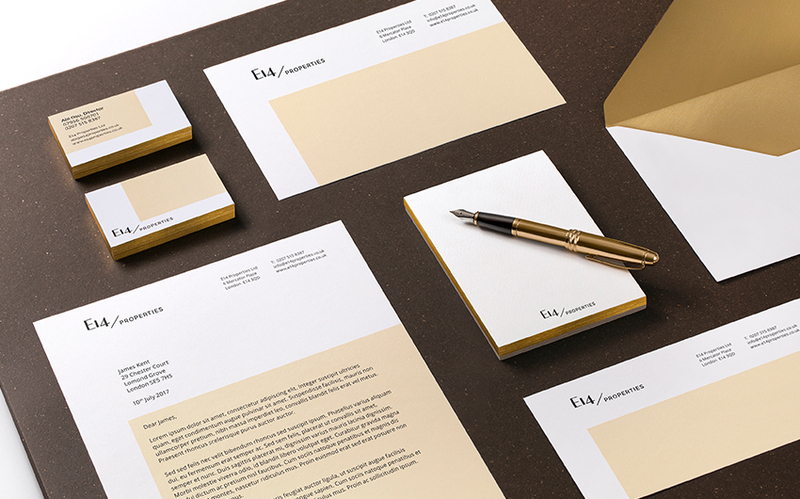 Our designs needed to match this bold new vision and appeal to E14 clients who enjoy the high life. 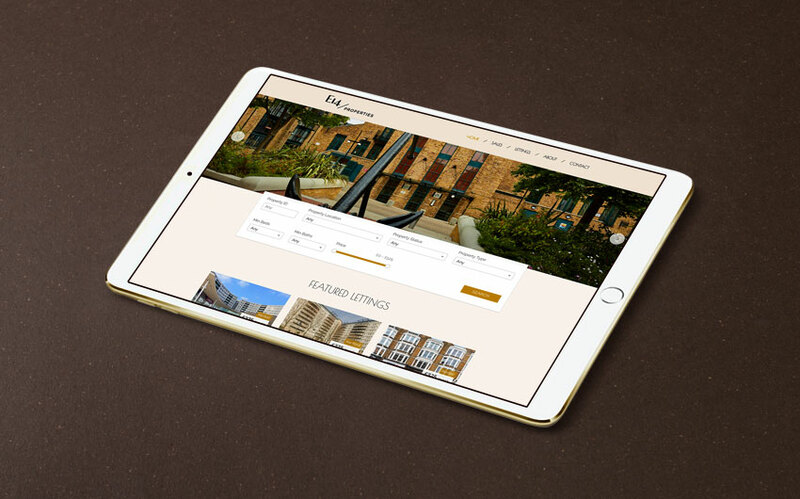 The logo takes its cues from the elegant architecture around Canary Wharf, as well as the goals of the business: to be progressive, clear and open. 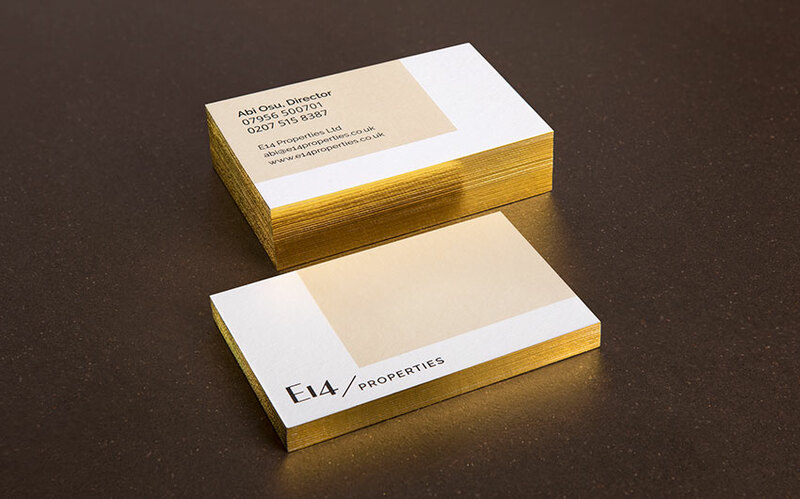 While the colour palette is harmonious, inspired by the calm E14 apartment interiors, with gold foil used principally for the business cards and other important applications. We also developed a series of illustrations for different properties in the area that were used on a range of promotional elements. 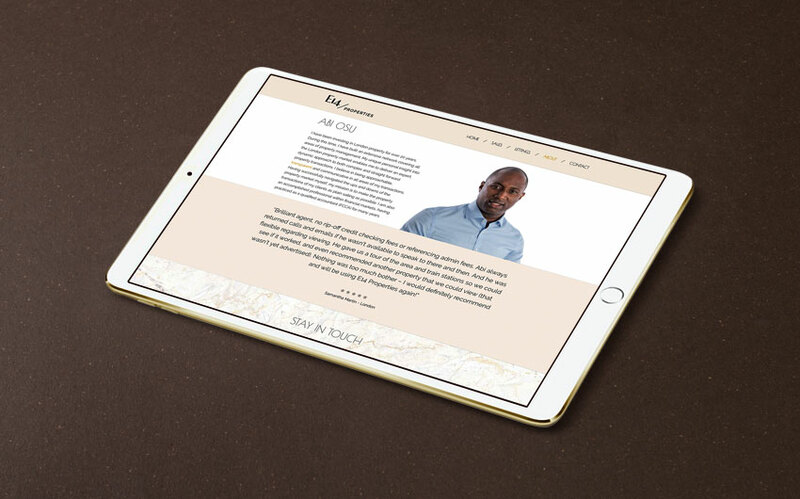 And in partnership with Web Harmonics, we designed and built a new website with an elegant and intuitive layout that smoothly moves from desktop to mobile. 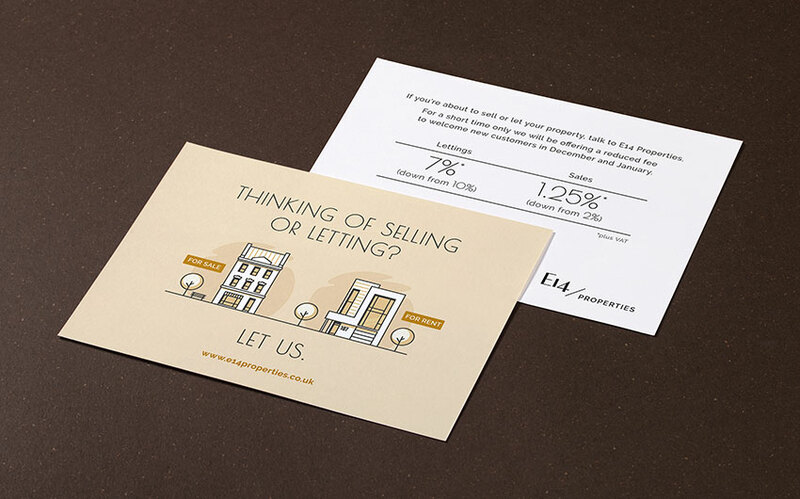 The result is a striking, coherent and sophisticated brand identity that expresses the E14 Properties’ personality and enables the business to connect with property buyers, sellers, landlords and tenants in this competitive marketplace.